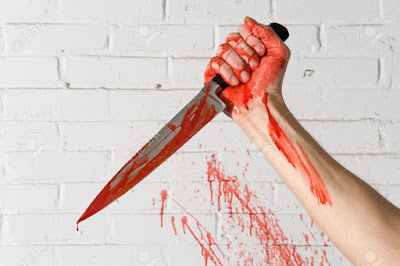 Lagos – A Lagos court has slammed a N300, 000 bail on an unemployed man, 32-year-old Debo Adisa, for allegedly stabbing a man with a broken bottle at a hotel for refusing to buy him a beer. Adisa was released on bail on Tuesday by an Ikeja Magistrates’ Court after he pleaded not guilty to the charges brought against him. The Magistrate, Mr A.A. Adesanya, who gave the ruling, said the accused should produce two sureties as part of the bail condition. Adisa, whose address is unknown, is being tried for breach of the peace and assault. According to the prosecutor, Insp. George Nwosu, the accused committed the offences on Oct. 3 at Donmorgan Hotel, Dopemu, Lagos. He said the accused assaulted Mr Temitope Segun by stabbing him with a broken bottle for refusing to buy him a beer. “The accused used a broken bottle to stab the complainant repeatedly all over his body.” Nwosu said the complainant was in the hotel taking a drink when the accused approached him and ordered him to buy him a beer but he declined. “The accused started hitting him. The complainant hit him back and the accused got angry, broke a bottle and started stabbing him. “Blood was gushing out of the complainant’s body and people in the hotel ran away while the management of the hotel quickly alerted the police to arrest him,” he said. According to the prosecutor, the complainant is still receiving treatment at the Lagos State University Teaching Hospital (LASUTH). The offences contravened Sections 166 and 171 of the Criminal Law of Lagos State, 2011. The accused, on conviction, may be sentenced to a three-year jail term, according to the Section 171 of the Criminal Law.